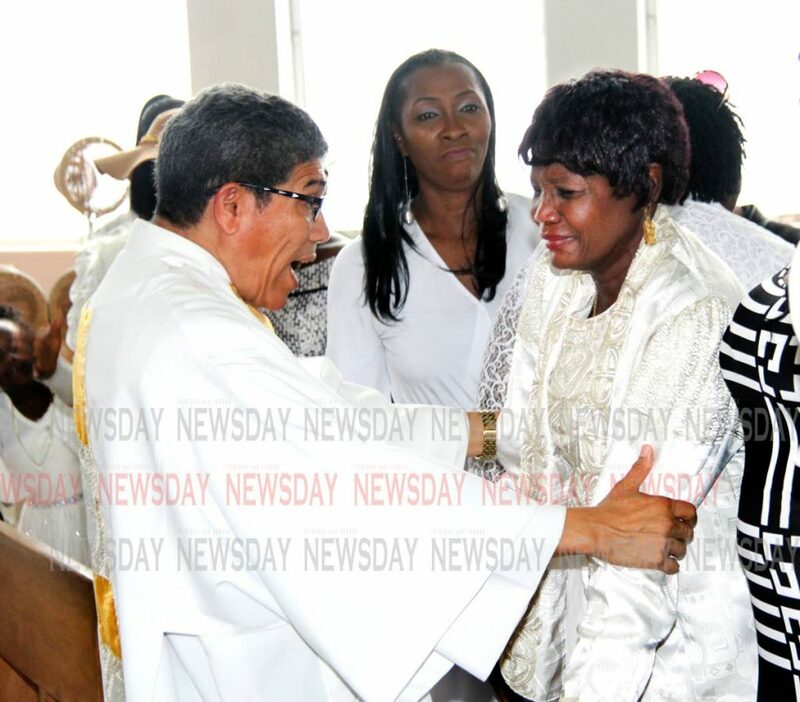 In his time on earth, celebrated fashion photographer Calvin French vividly captured many a beautiful person, costumes, scenes and of course fashion models, and yesterday scores of members of the Tribe family, models, designers, fashionistas, friends and relatives turned up, all fashionably dressed in white, to say goodbye to him in fine style at the Assumption RC Church in Maraval. 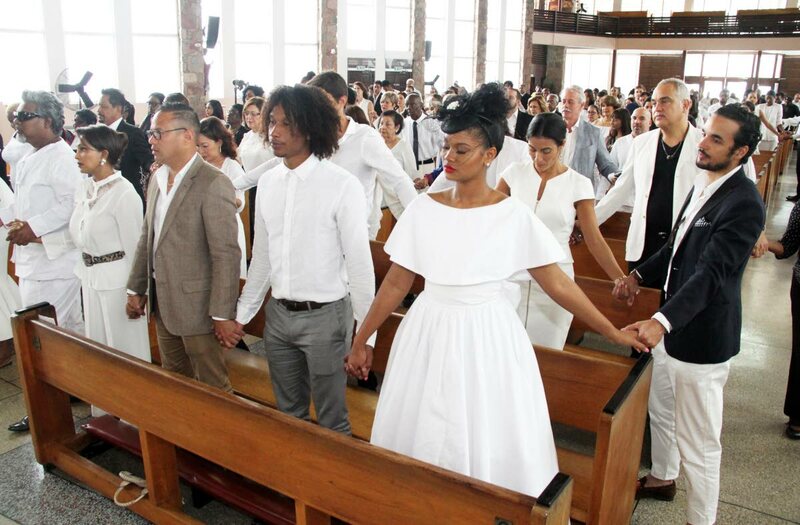 As Deacon Derek Walcott led French’s casket up the aisle, borne by pallbearers who included Tribe leader Dean Ackin, David Rudder’s Engine Room blared through the. “He was funny, and yes, he could have cursed, but your presence here today gives me hope that what Uncle Calvin did, you wouldn’t let it die,” said Stephens. 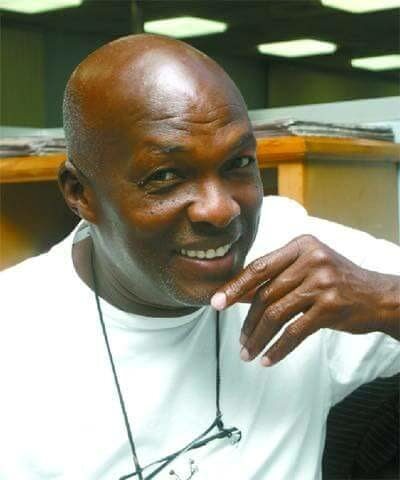 He traced French’s path to success, which ran from Joan’s Hair Salon in San Fernando to Vidal Sassoon as a hair stylist in Toronto, followed by a modelling stint that took him to Paris, Germany and Milan. French spent 20 years in Milan running a successful model agency called Ugly People, but then veered into photography, though he was never a trained photographer. He simply got into the business because he didn’t like the pictures that photographers did for his models’ composite cards. With his charm and personality, Elias said, French befriended all the top fashion houses in Milan, and was on a first-name basis with Giorgio Armani and Valentino. Returning home from his last stint overseas in New York, Elias said French did so because he had an and vision to elevate the Caribbean aesthetic. He said many models, stylists, photographers, designers and editors’ (both national and international” careers had been launched because of French’s belief in them. He said all of them would have felt French’s passion, kindness, dedication and guidance. French, Elias said, was the first to shoot costumes in a fashion-editorial style rather than the traditional studio catalogue-type shots. As a person, Elias said, French was a real character, unforgettable but caring. Elias also spoke of the more colourful side of French’s character. “When it came to expletives, he was boss. He used them as verbs, nouns and even adjectives, and all in the same sentence. He defined the idea of aggressive complimenting. The congregation roared with laughter. In his sermon, Walcott urged the congregation to challenge themselves to be their best, just as French demanded excellence from himself at all times. And as happy as French was, for the sign of peace Walcott had everyone in the church greet each other as best friends to the singing of What a Wonderful World. Then for the recessional, led by Walcott, mourners clapped and danced out of the church to Donna Summer’s disco hit Last Dance. French, who died last Thursday at 69, was cremated at the St James Cinerary. Reply to "French send-off in style"